Countries in Asia and the Pacific must build resilience to natural hazards and invest in social protection systems to achieve the Sustainable Development Goals (SDGs) by 2030, says a report. The United Nations Economic and Social Commission for Asia and the Pacific (ESCAP), the Asian Development Bank (ADB), and the UN Development Programme (UNDP) jointly released the report at a forum in Bangkok on Wednesday. The report, titled “Transformation towards sustainable and resilient societies in Asia and the Pacific”, highlights that societies need to focus on four types of resilience capacities—anticipatory, absorptive, adaptive, and transformative in order to build resilience against recurrent shocks such as flooding, pollution, and commodity price volatility. The report was launched at the 5th Asia-Pacific Forum on Sustainable Development (APFSD) in Bangkok scheduled for March 28-30 as part of a joint effort to track SDG progress and support countries in the region to achieve the 2030 agenda for sustainable development. 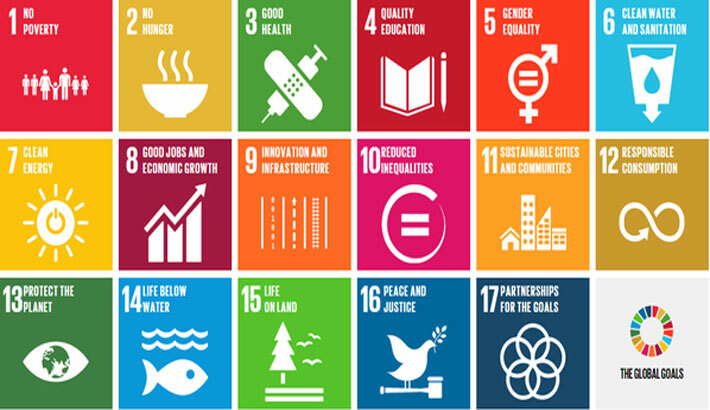 The conclusions and recommendations from the forum will inform global-level discussions of the High-level Political Forum on Sustainable Development to be held in New York in July this year. The report notes that many countries have already moved to build resilience capacities against various shocks by setting up early warning systems to anticipate natural disasters, mainstreaming climate change in national planning, and investing in social protection systems to promote income and health security, said a press release of ESCAP quoting the report. However, much more needs to be done to identify and implement policy responses that will help strengthen countries’ resilience and transform vulnerable human systems into more sustainable ones, it added. “Building effective resilience frameworks for the future must be backed by anticipatory, absorptive, adaptive and transformative capacities to deal with the multiple risks we face,” said UN Under-Secretary-General and Executive Secretary of ESCAP Dr Shamshad Akhtar. She further said if effectively implemented, this strategic approach will strengthen prevention mechanisms, increase mitigation solutions and offer opportunities for human systems to bounce back. Asia and the Pacific has gone through a rapid transformation over the last few decades, with issues like aging, urbanisation, increasing demand for natural resources, globalisation, and technological progress continuing to reshape the region, she said. the report, exacerbated by the fact that Asia and the Pacific is considered one of the most vulnerable regions in the world to various environmental and financial shocks, she added. Quoting example, the report said over 40 million people in Bangladesh, India, and Nepal were affected by intense monsoon rains in August 2017. Effects of air pollution, meanwhile, have cost the sub-regions of South Asia, Southeast Asia, and the Pacific an estimated 7.5 per cent of regional gross domestic product, while oil price slumps in 2014 brought about severe economic and financial consequences in Central Asia, with Azerbaijan alone experiencing a 3 percent drop in economic growth. “There is a challenge everywhere we look, but there are also opportunities that can help us make progress on the SDGs,” said ADB Vice-President for Knowledge Management and Sustainable Development Bambang Susantono. “At UNDP, we believe that innovation will power dramatic change that can break through the toughest development challenges in the Asia-Pacific region, and transform societies,” said Haoliang Xu, UN Assistant Secretary-General and Director of UNDP’s Regional Bureau for Asia and the Pacific. “Such innovations will engage communities in building resilience against risks and promoting sustainability so that we can end poverty and hunger, and achieve our goal of leaving no one behind,” he added.